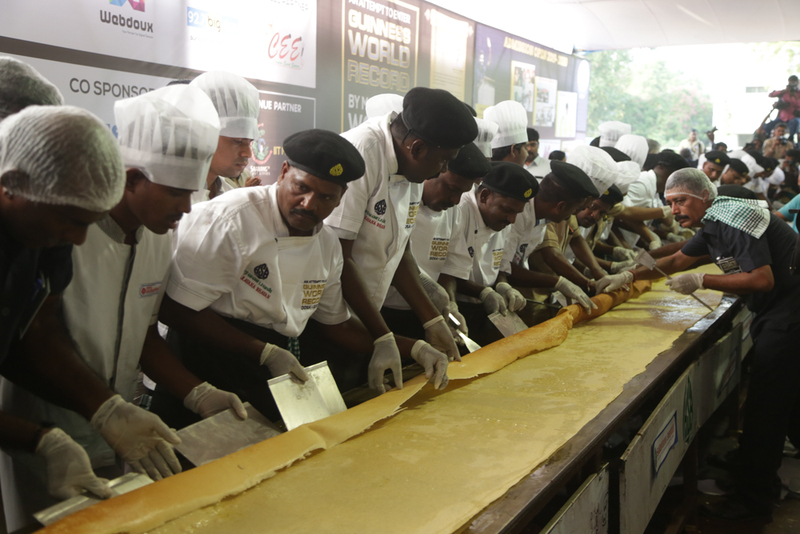 The record to prepare the longest dosa of 82 feet using 37.5 kg batter was achieved by Dr. 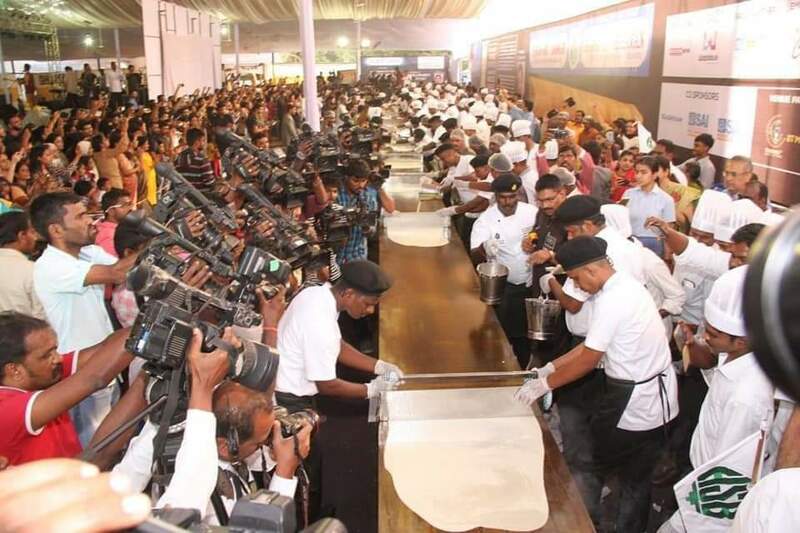 Chef Vinoth Kumar and Saravana Bhavan with a team of 60 chefs of Chennai, at IIT Madras Campus, Chennai, Tamil Nadu, India on January 11, 2019. 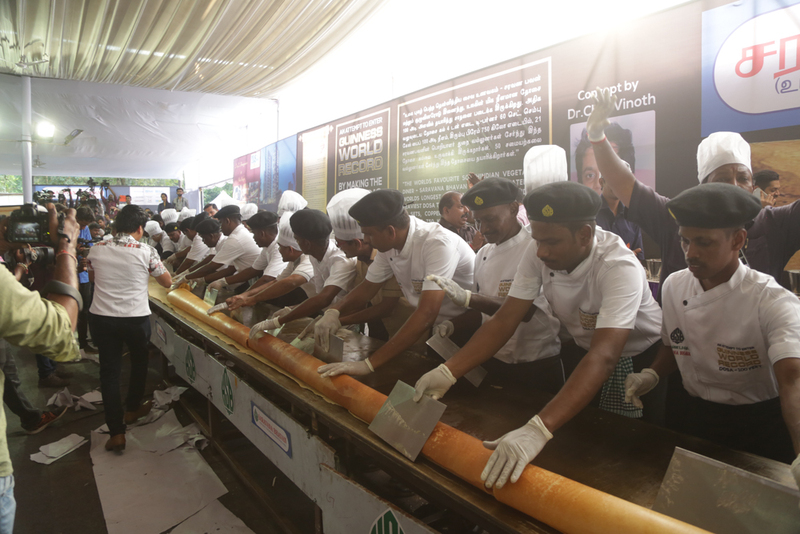 Comments for LONGEST DOSA are now closed.